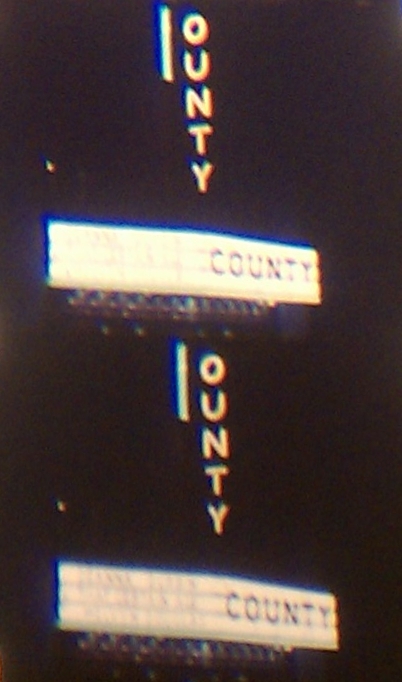 A few years ago I found a reel of 16mm film on the shelf at the County Theater. 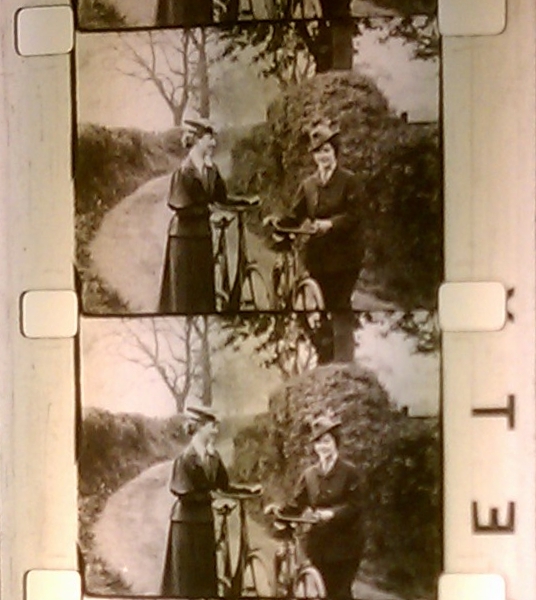 It contained a silent film of miscellaneous Bucks County scenery, and wasn’t that interesting. 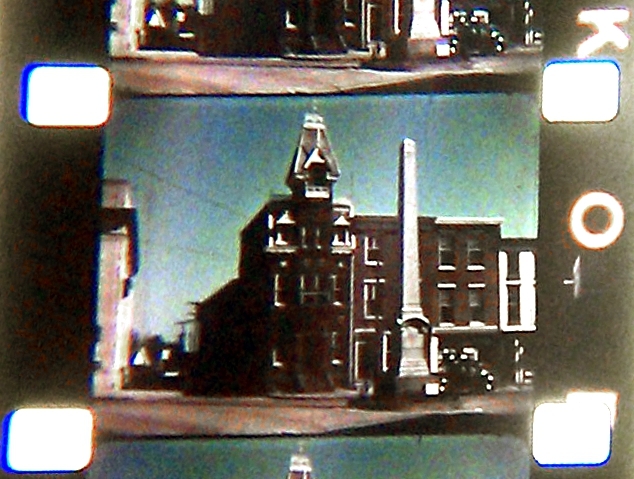 However, enclosed with that reel I found a page of notes referring to another 16mm film shot during Doylestown’s 1938 centennial parade (marking the incorporation of the Borough in 1838). 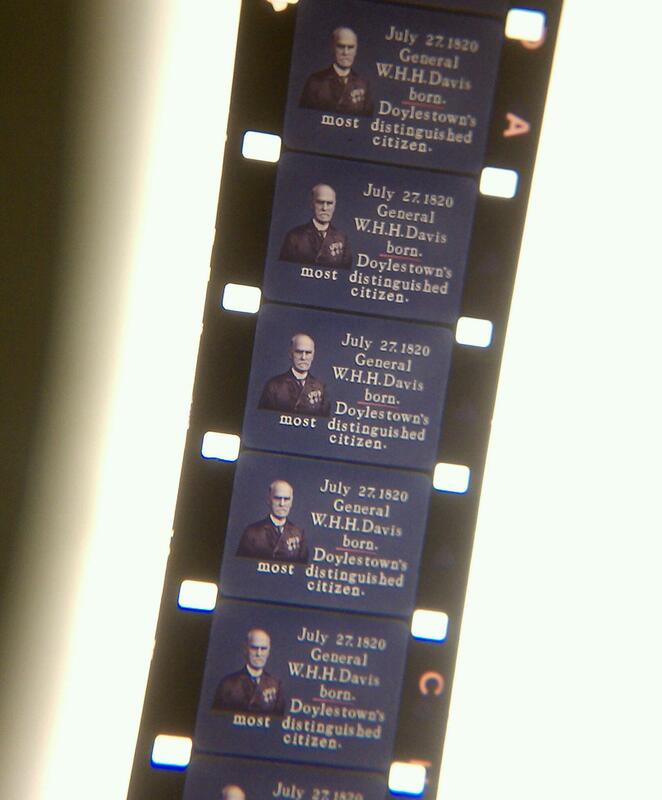 With big plans underway to mark Doylestown’s 2012 bicentennial (commemorating when Doylestown became the county seat in 1812), I decided to track down the missing reel. As it turns out, the film was last shown over 20 years ago by Closely Watched Films, the local film group that would eventually purchase the County Theater and convert it to a non-profit art house. 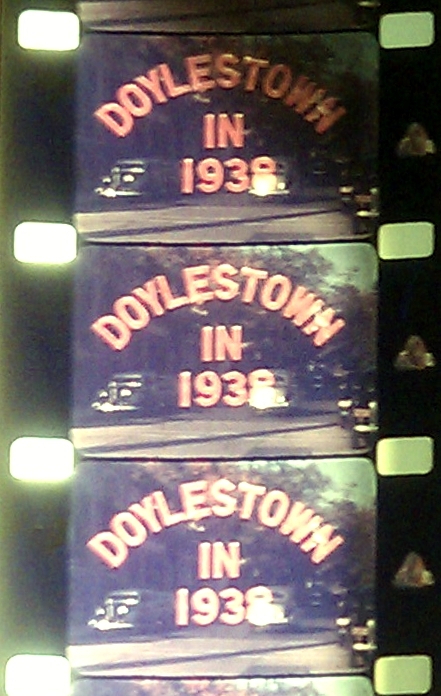 I was able to find the owner of the reel, who still lives in Doylestown, and he agreed to let me borrow the reel (as well as three others) on behalf of the Doylestown Historical Society. 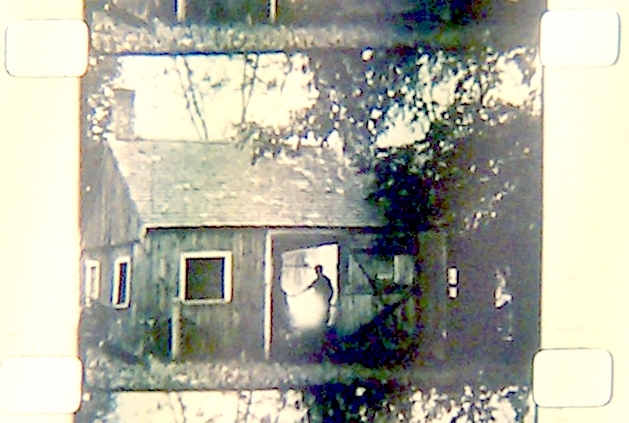 His grandfather, Oscar O. Bean, shot the film in 1938. Census records show that he was a lawyer who lived on East State Street in 1930, and would have been about 57 years old at the time of filming. 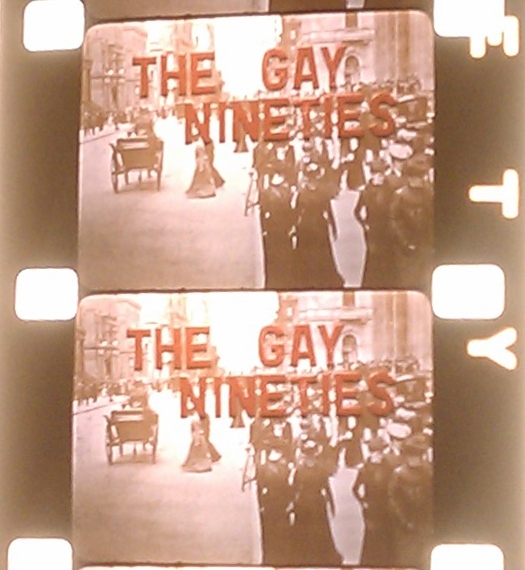 The film was in color! And not just any color. Kodachrome is one of the best color processes in terms of archival stability. 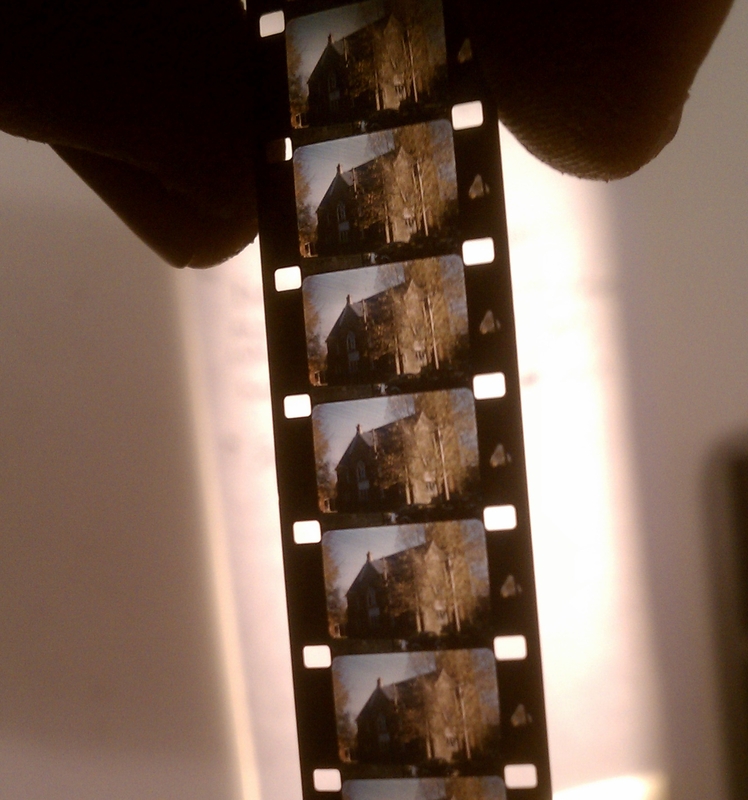 If stored correctly, it won’t fade or lose its color like other film stocks. 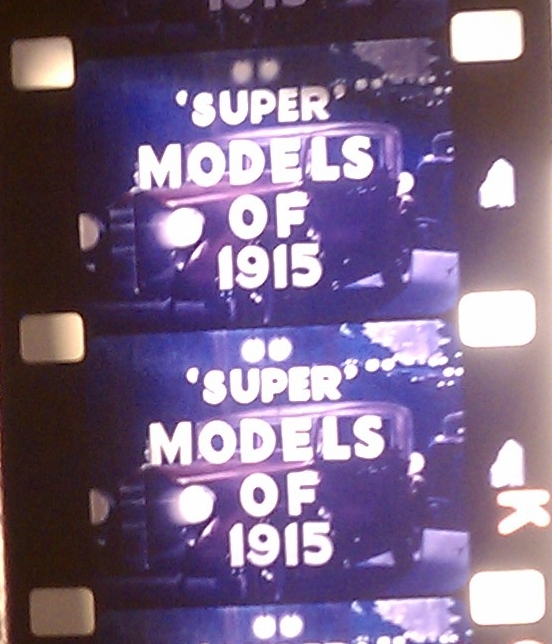 And this film dates to 1938, just three years after Kodachrome was introduced. 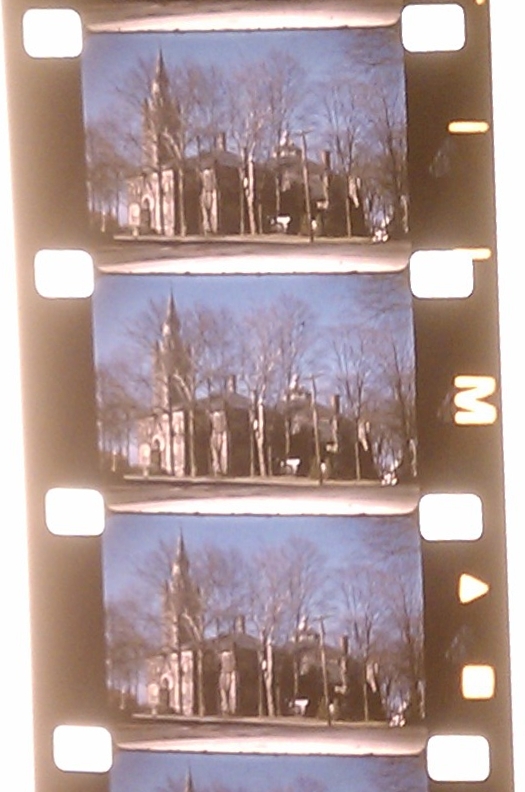 As a color film of Doylestown from this era, it’s surely one of a kind. 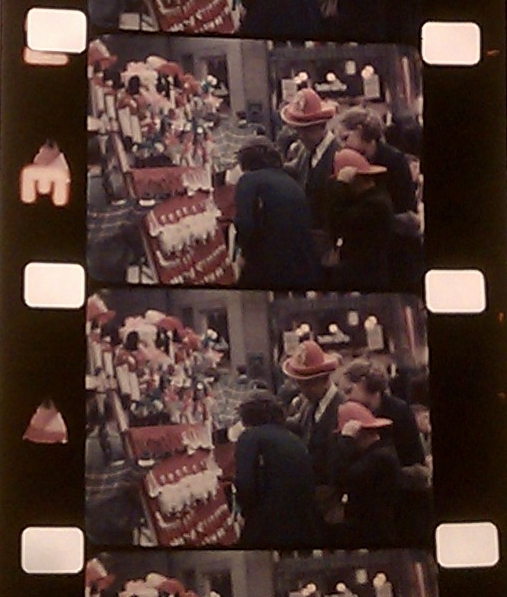 Thanks to the Bean family, we can see the streets of 1930’s Doylestown in color. 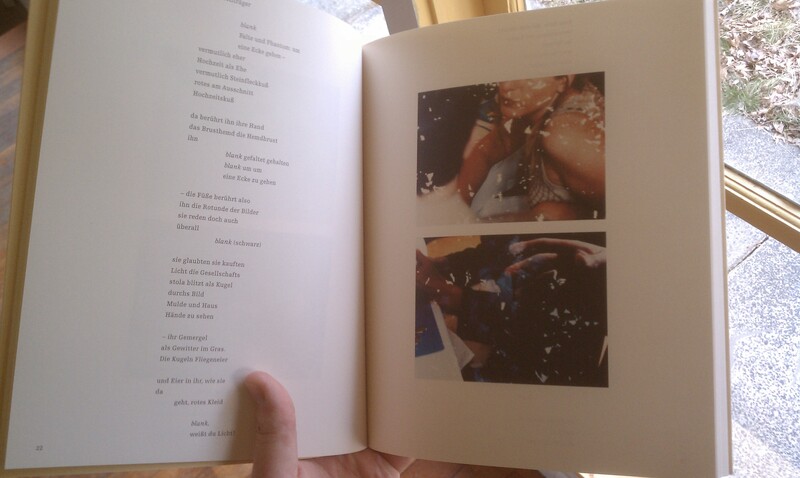 Selected images from a 16mm film. Hard to read here, but the marquee features Coming of Age (1938). The New Galena Board of Censors… who knew?